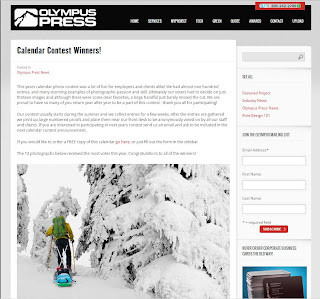 Olympus Press is Exped/Seattle's printer of choice. They do all our print work and do a great job for us. Each year they print a calendar and the 2013 edition is starting off in fine form. The photo for the month of January features our very own Dave Perella hauling gear in Mt. Rainier National Park for some winter camping.